The magnificent graph of the greatest ocean belies the truth. The variety of fishing techniques used in the Pacific means that BET (big-eye tuna) biomass is soon going to dip below the maximum sustainable yield levels. Despite a purse seine net ban on the high seas, this second-largest of the tuna species has continued to decline. Longline fishing needs to be banned quickly in the spawning areas in order for the efficient conservation of breeding fish. It will now be 2030 before we can see any benefits, even if the necessary measures are taken. Other species of tuna are obviously affected, as they are often caught together. The large yellow-fin tuna are involved, but skipjack and BET tuna are also heavily fished in the purse-seine fishery for canning here, at the relatively low cost of $2 per kg. Since the '60s, longline fishing has been used to drastic effect to haul in the $10.2 per kilo BET tuna. Note that price differential! These fish however make up less than 50% of the their total catch. The smaller skipjack tuna is mainly caught by purse seine fishing and consigned to our supermarket cans, while this largest world fishery was also trapping juvenile BET. 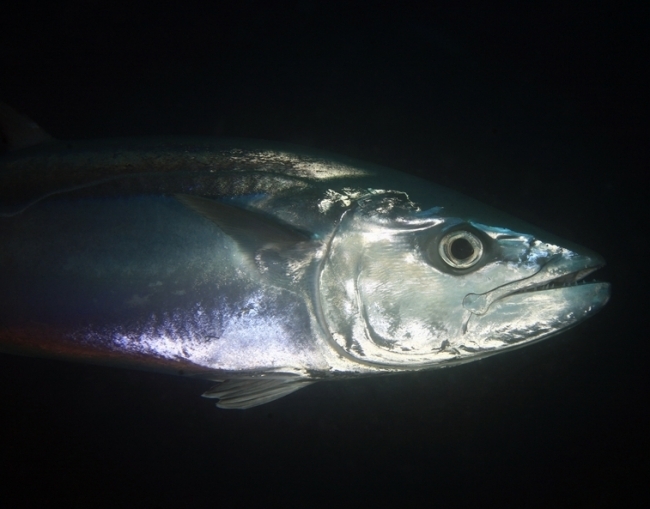 While the skipjack survives, the BET population has suffered more. In predictive models, the BET biomass built up for 15 years before 1995, after fishing was stopped. Environmental factors linked possibly to global warming then reduced the BET populations and fishing now limits increases and causes pronounced decreases in a fluctuating model graph. The model mainly concentrates on the history of BET in an effort to predict its situation today and not to forecast the future. The results are illuminating. Banning fishing in an area causes little increase in BET biomass. The fish can be caught elsewhere, especially as the fishing fleets seem to concentrate their efforts on areas right next to the banned areas. Longline fishing, designed to catch mature fish, is death to the spawning areas. Prohibition is obviously a first step to recovering this important population. Benefits of closures for the local fishermen could be an incentive to go ahead with their implementation, but for the fish, the benefit is limited. A 15-year period (ie. the animal's life-span) is required to re-build the stock. 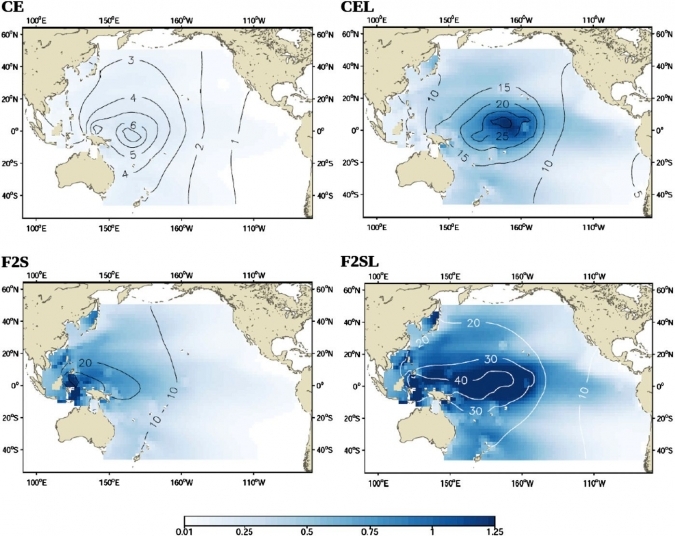 The changing climate is highly likely to require a much longer period for the species, which is expected to shift eastward in its distribution, because of oceanic warming. Perhaps a Pacific fishing network would allow certain kinds of fishing in specific zones. Relevant local development programmes would permit economic progress while conservation would mean preservation of those developing economies. The high price of tuna has now caused extinction threats to most of the species, despite their previous huge populations. Disaster has struck too often with tuna and to be honest, most other commercial fishing scenarios. It's about time the vastness of the Pacific allowed some species to provide a living for humans and yet survive in suitable conditions themselves. John Sibert of the University of Minnesota, and his colleagues have provided this most valuable contribution towards efforts to stabilise the tragic loss of species, human livelihoods and whole environments. They publish in the US journal, PNAS (Proceedings of the National Academy of Sciences).